The Sharpie is an art gallery and studio in Treasure Island, right off the beach. We are dedicated to local talent and our gallery hosts a diverse body of art, displaying some of the finest regional work. The Sharpie also serves as an event venue, with its location across the street from the public beach; its interior can comfortably accommodate groups of 25-50 persons. The gallery's name is not just a play on words with everyone's favorite permanent marker. The Sharpie is named after a 19th century sailboat which played an integral role in Florida's maritime history. Sharpies had flat bottoms which were perfect for exploring the shallow waters throughout the Gulf of Mexico. 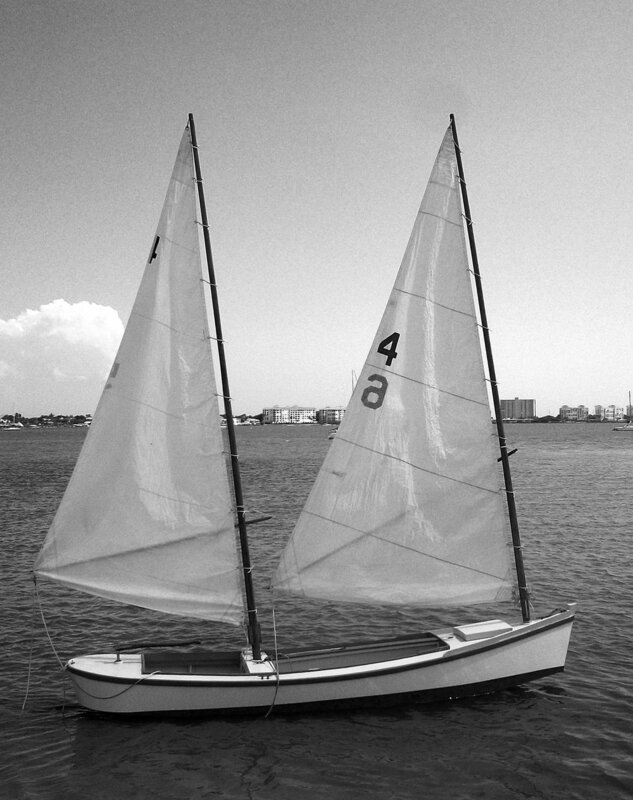 They sailed from Cedar Key to Key West, uniquely able to serve all points between.